The perfect combination for your eczema and dry skin treatment regime. Our award winning Premium Eczema Cream and soap-free Cleansing Bar, made with 100% natural ingredients. 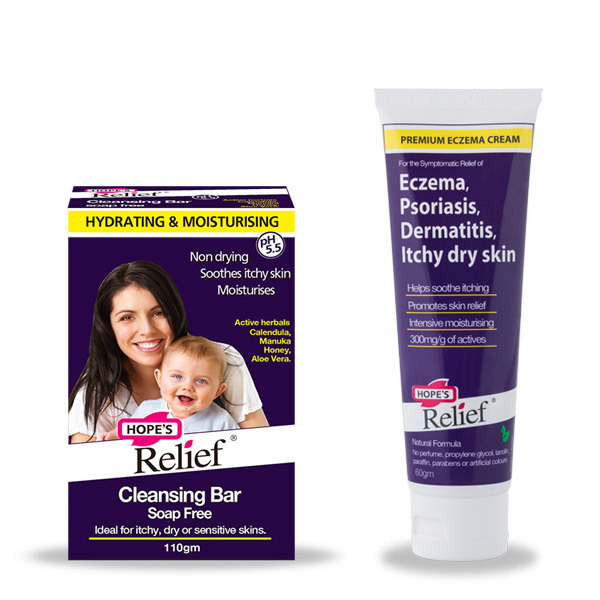 Use Hope’s Relief Cleansing Bar to gently cleanse and hydrate your skin with its 5.5pH formula and then moisturise with Hope’s Relief Premium Eczema Cream. The next best thing to a cure for eczema, psoriasis, dermatitis, baby eczema and eczema rash.